Why Upgrade to Microsoft Dynamics CRM 2011? At the release of Microsoft Dynamics CRM 2011, Microsoft included 500 functional improvements from Microsoft Dynamics CRM v. 4. That was in January 2011. Working with Microsoft Dynamics CRM 2011 is slicker and it has a lot more functionality – so some of the coding CRM consultants may have implemented in Microsoft Dynamics CRM 4 is no longer required – as sometimes Microsoft Dynamics CRM 2011 has that functionality. When we first moved from Microsoft Dynamics CRM 4 to 2011 the changes seemed huge from a user point of view but within days we swore we would never return to version 4! Why? Well Microsoft Dynamics CRM 2011 is just so easy to use. If you thought that Microsoft Dynamics CRM 4 was integrated with Outlook then think again. CRM 2011 is seamless – there is a much tighter integration and users have the ability to see how each record is being tracked. There is a ribbon effect functionality so Microsoft Dynamics CRM 2011 is much more in-line with products such as Microsoft Word, or Excel, so again from a user’s point of view what’s not to like? One of the key improvements is definitely user ability. Users feel at home using Microsoft Dynamics CRM 2011 as it is so familiar to every day Microsoft products. Another example of this is in the quick links. Instead of tabs across the top of the pane in Microsoft Dynamics CRM 4, there are quick links navigation pane on the record which allows users to scroll to the right information quickly. Reporting and graphs are visible on every screen – called Dashboards. The dashboards allow users to see multiple grids and charts using the data within each record. The result is that the data comes to life in visuals and it’s easy to drill down on each record. Another great user friendly enhancement is the dynamic marketing list. Using Microsoft Dynamics CRM 4 the marketing lists are static data. The lists can be built using look ups or using advanced finds to target the right people in each marketing list. Using Microsoft Dynamics CRM 2011, the marketing lists can be static or dynamic. What this means is that you do your marketing list once and it just keeps refreshing – no need to refresh advanced finds, save advanced finds or share them! It really is a major step forward for any marketers! With other 500 updates it’s difficult to pick out a few of our favourites, so if you wanted to see more, why not download our new ebook – A Guide to Upgrading Microsoft Dynamics CRM 4 to Microsoft Dynamics CRM 2011 to Improve Lead Generation and Increase Sales. Upgrading Microsoft Dynamics CRM 4 doesn’t have to be difficult. See our slideshow on SlideShare with our top hints and tips. 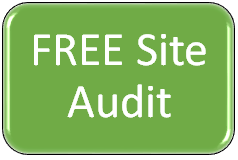 Caltech is pleased to offer a FREE site audit to anyone who is looking to upgrade from Microsoft Dynamics CRM 4 to Microsoft Dynamics CRM 2011. If you wanted to take up this great offer, email george@caltech.co.uk, where one of our team will be pleased to help you. This entry was posted in Upgrading CRM by Catherine. Bookmark the permalink.